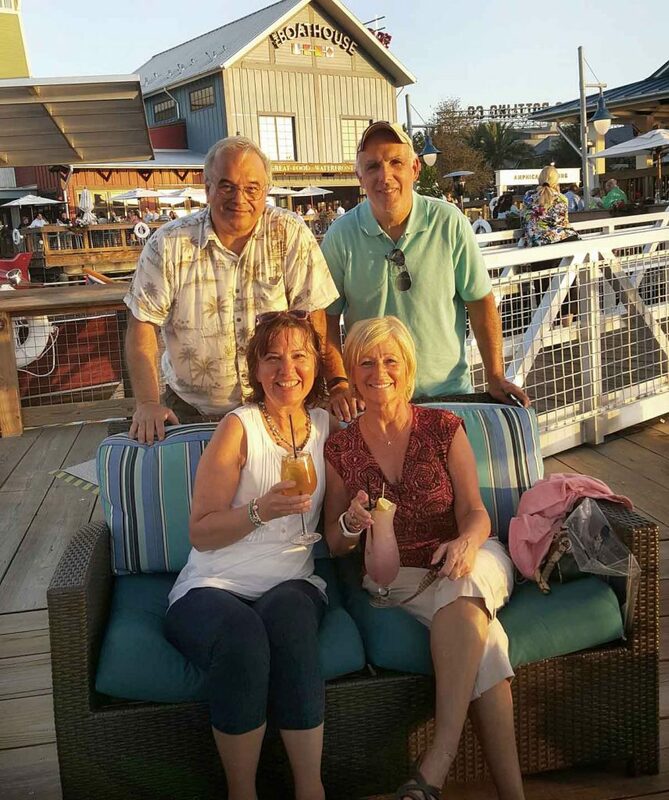 Home » Events » Restaurant Review » The Boathouse at Disney Springs – Deliciousness on the Docks! 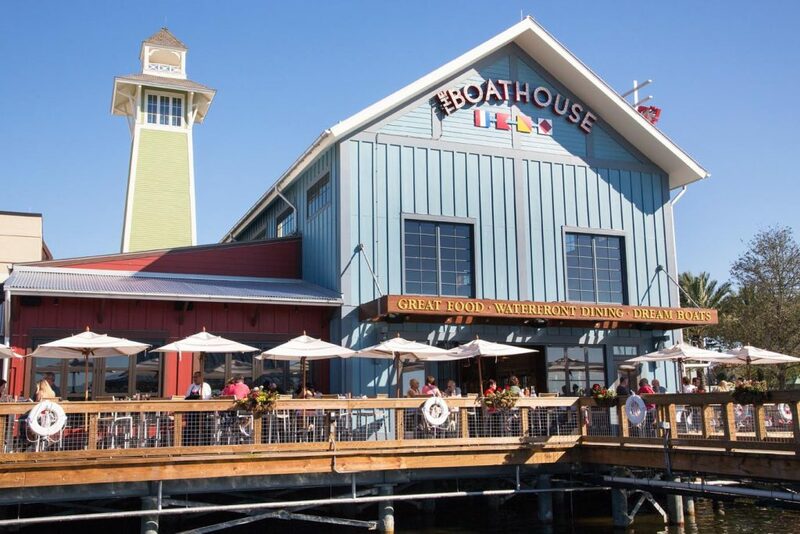 The Boathouse at Disney Springs – Deliciousness on the Docks! When I first heard about The Boathouse being opened at Disney Springs I knew it was going to be something special. 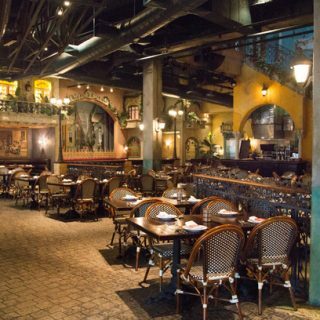 It was being designed by the creative genius of Steven Schussler (Rainforest Cafe and T-Rex ) and managed by the amazing culinary team at Gibson’s in Chicago. 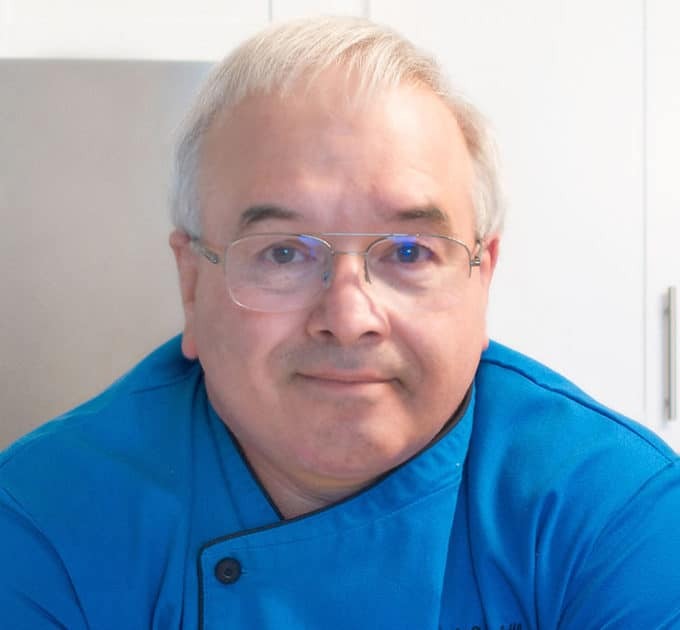 Of course it didn’t hurt that they managed to hire one of the premiere chefs in the area Robert Getchell. And Chef Bob didn’t waste any time assembling one of the best culinary teams in the state! 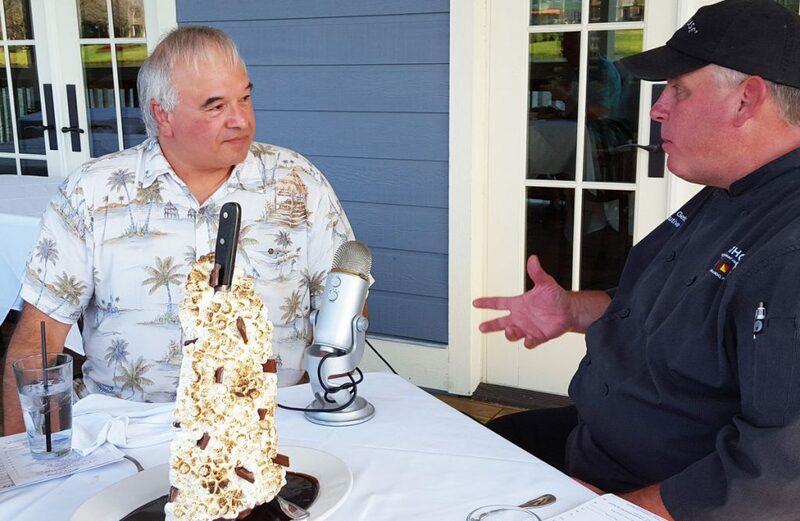 I had such a great time interviewing Chef Bob and learning more about his menu and how he and his team built each menu item. 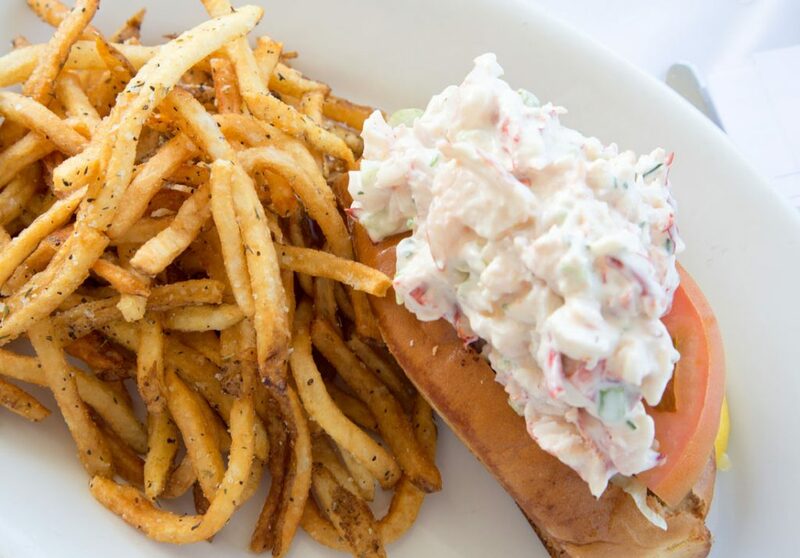 Almost everything at The Boathouse is made from scratch. Its not easier or less expensive to make everything you serve, but it’s definitely the right way to go. Making everything from scratch allows you to control your ingredients, ensuring quality and purity. There’s no need for preservatives and items you can’t pronounce when you make every thing fresh! I started off my interview chatting with General Manager Jacob Svajgl talking about the operation of The Boathouse and the deep commitment to customer service. I also got to sample a few of their signature cocktails, an Old Fashioned and Blueberry Lemonade. The Boathouse offers a great selection of wines and other delicious cocktails, as well as non alcoholic beverages. I started my culinary adventure with a flight of oysters. Tasting oysters from different parts of the country and I particularly enjoyed the creaminess and salinity of the west coast oysters. 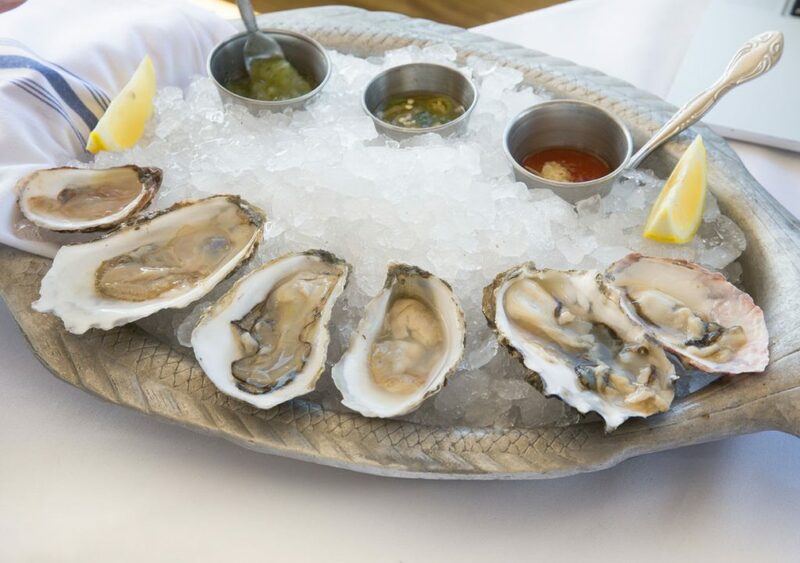 Chef Bob has the extensive oyster bar in the state and has up to 14 varieties in house for you to choose from. 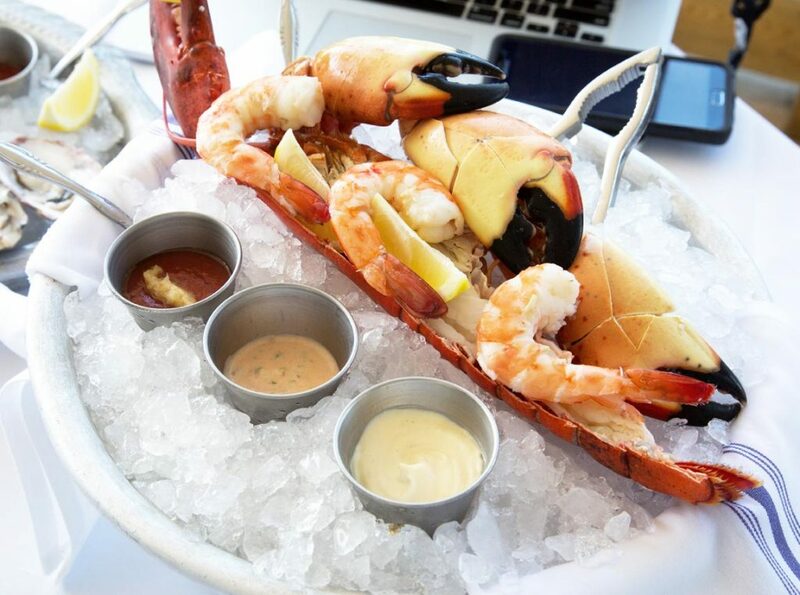 Next up was a chilled seafood platter, including a whole lobster, stone crabs and shrimp. Our first meat selection was a new item on the menu, Competition Style Baby Back Ribs. If you’ve never had competition style ribs, you don’t know what you’re missing! Competition Ribs take what most of us know as the delicious ribs we all love and elevates them to an entirely new level of flavor. You see, when ribs are judged at competitions, the judges have to taste them all. That could be quite a daunting task, so a judge will only taste one rib. 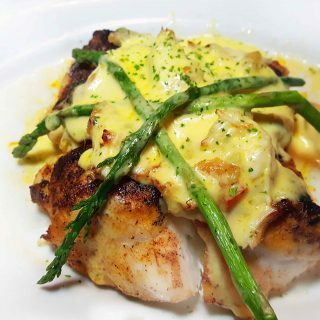 If you fail to impress with one bite, you won’t get a second chance. 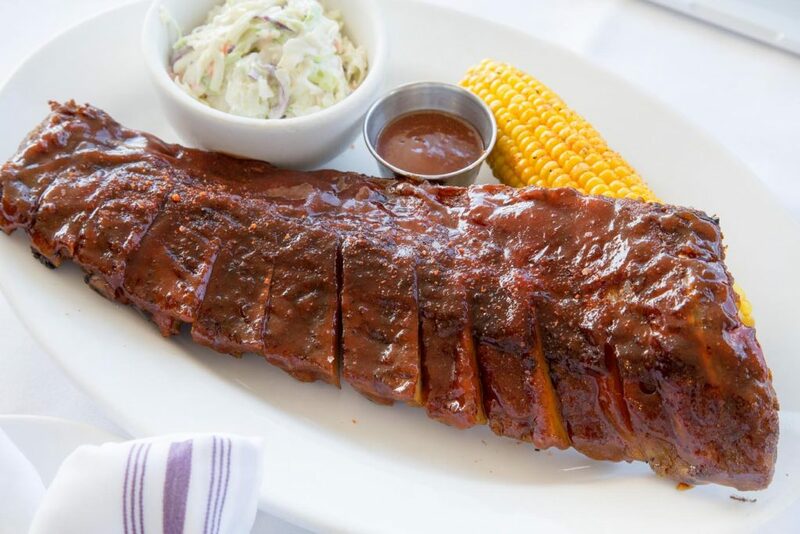 I guarantee one bite won’t be enough when you taste these ribs. They have a little kick to them and a whole lot of flavor! I will mention that the cole slaw was superb and the ear of corn the perfect compliment to the meal. 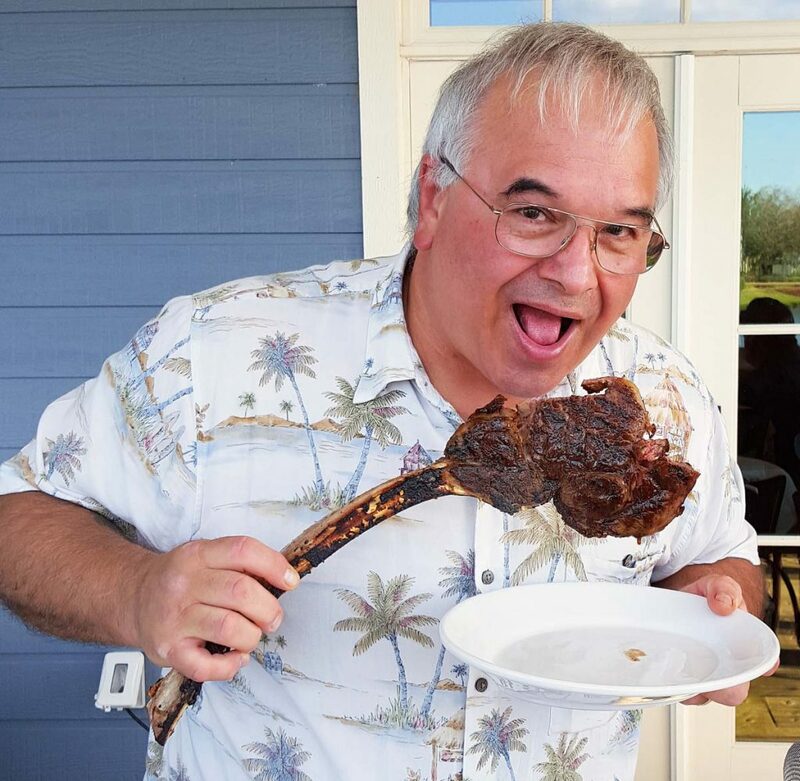 Of course I had to take the opportunity to ham it up with this exquisite piece of Flintstonesque piece of meat. And it was OMG delicious and tender! And just when you thought you could relax and savor each moment of deliciousness you just enjoyed, my server brought out the Baked Alaska. Chef Bob loves the moment they bring out this dessert, I think my jaw dropped to the floor as did the other guests that were dining with us. Impressive, yeah kinda like the Mt. Rushmore of desserts! 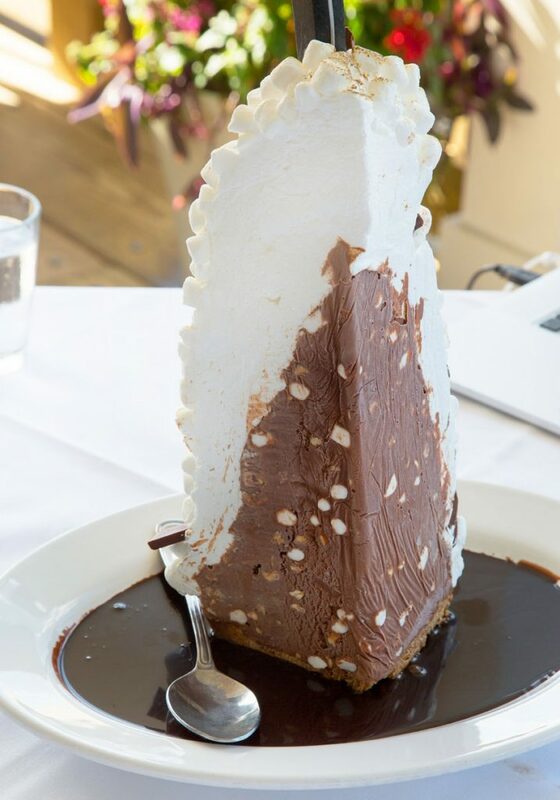 The process to make this beauty takes 4 days, each 4 slice baked Alaska also uses 1 1/2 gallons of rocky road ice cream. While the menu says it serves 4, think more along the lines of 8. It was a masterpiece to end this sumptuous meal, and believe folks it wasn’t by chance. 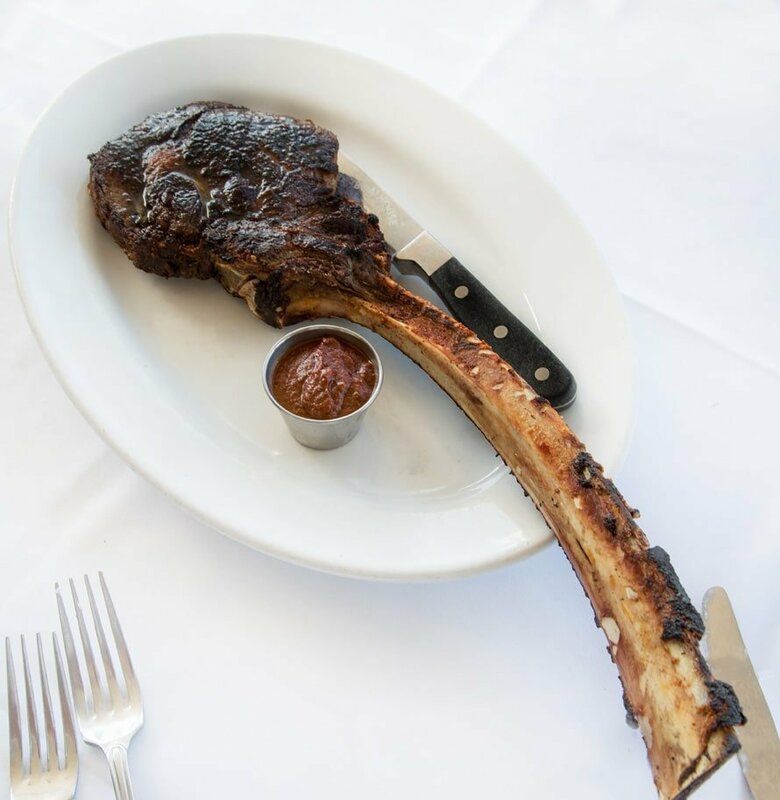 Everything that’s done at The Boathouse has been well thought out and planned to give each guest the ultimate dining experience. 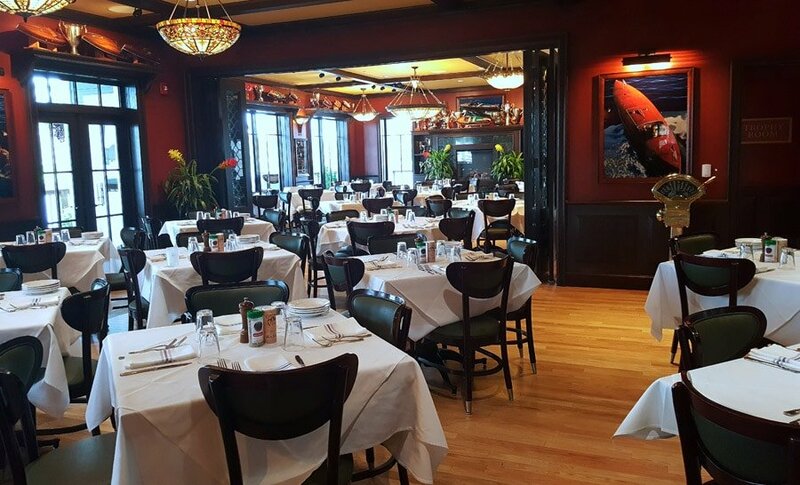 The Boathouse offers a wide variety of dining options from a speedboat by the entrance to this well appointed dining room. They have two private dining rooms (which they open to the general public during peak times). 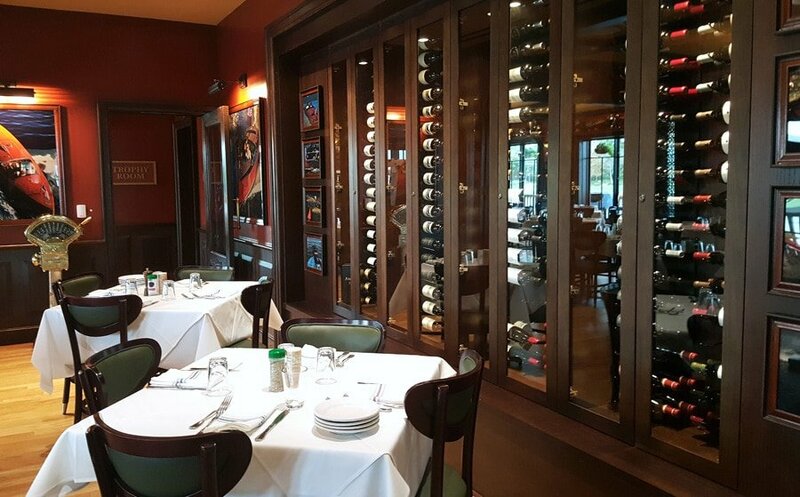 The wine room and the trophy room are exquisite. 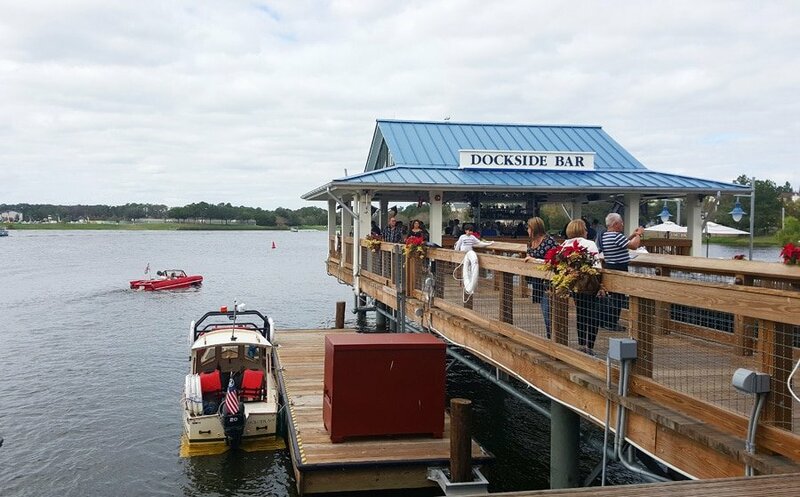 But if you’re feeling a little more casual and want to enjoy the beauty of Disney Springs, you won’t find a better location than the dockside bar. You can even find some comfy couches to relax in and simply enjoy the tranquility of the lake. They have full service on the docks where ever you choose to sit. After all its all about the experience when you stop by the Boathouse. You can learn more about the Boathouse by clicking on the link. 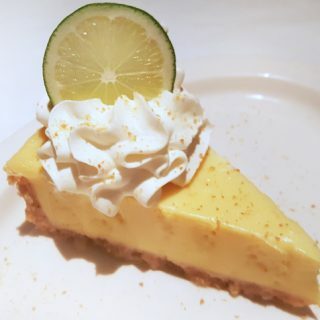 Follow them on Facebook, Instagram and Twitter for more of their deliciousness! Our family of 11, which included 5 children from 7 to 15 years old, had dinner at the Boathouse in February 2017. My husband and I returned to Disney world in September. Our must do list included dinner at the Boathouse. 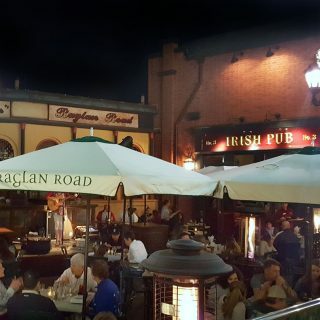 The service and food was excellent both times! The staff is very friendly! We think this is the best restaurant in Disney! Thank you to the wait staff at this amazing restaurant! thanks so much for your comment and I’m happy to hear you had a good experience at The Boathouse. Chef Bob does a great job with his kitchen and the staff has always been super friendly. I had an excellent lunch there! Chef Bob is doing great things here! 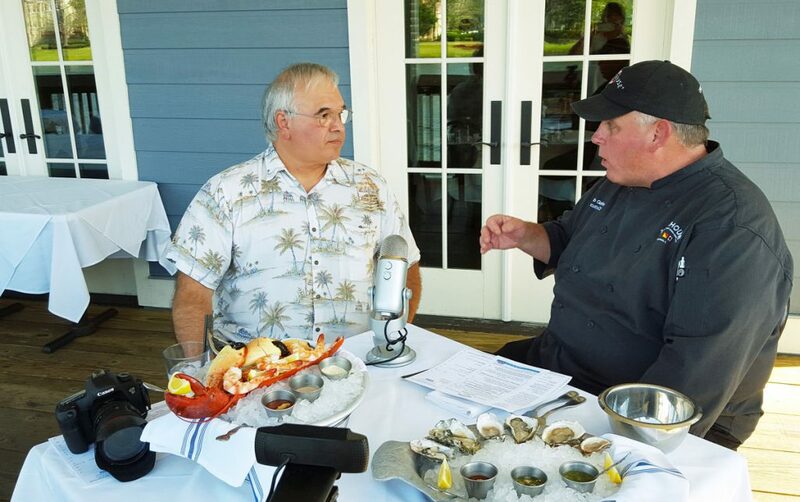 Thanks for stopping by Jan, and Chef Bob certainly is cooking up some deliciousness at the Boathouse! Oh my this looks delicious! And gigantic. 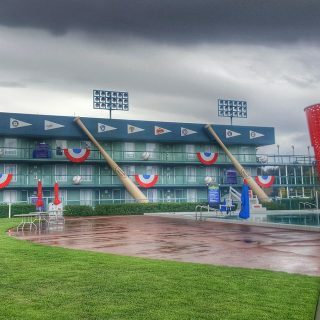 We are going to Disney in May and we HAVE to add this to the list of to dos. 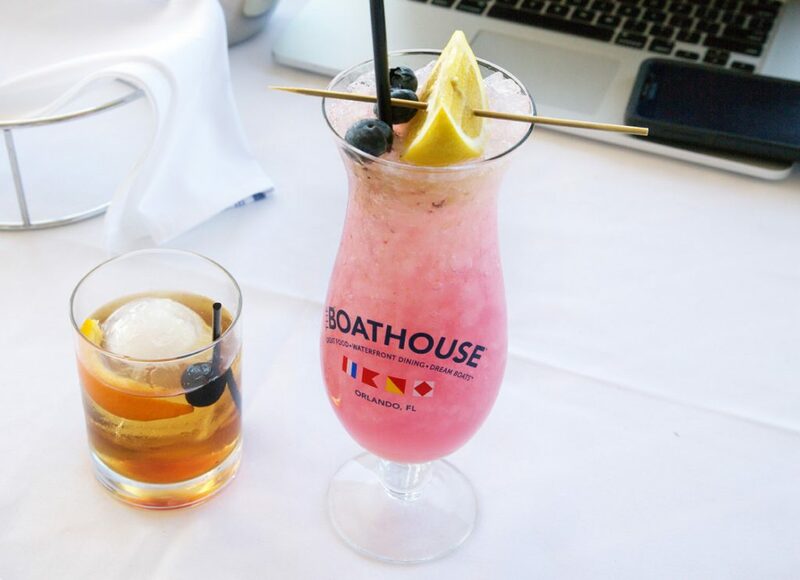 The Boathouse is my favorite Disney Springs restaurant, they have something for everyone. Even if you just go at night and sit on the couches enjoying the view!